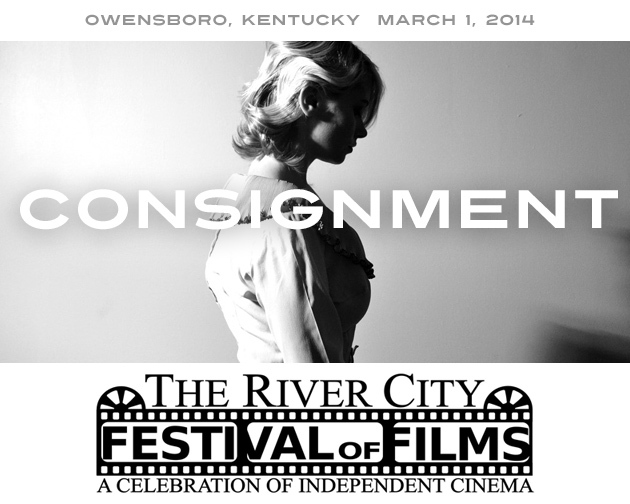 Justin Hannah's award-winning short film "Consignment" has been chosen as an Official Selection at the River City Festival of Films, taking place March 1, 2014 in Owensboro, Kentucky. The Festival, produced by Verite Cinema and now in its third year, will screen short and feature-length films from the region and around the world. The festival will also feature events and celebrity guests, including Peter Weller of Robocop and Sons of Anarchy. The Festival is free and open to the public.